I can just barely remember my grandmother canning. I never saw her do it, but when I went over to her house she would often open a jar of peaches or apricots and let me drink a little of the syrup. I remember how sweet it was and how much I looked forward to it. But by the time I would have liked to learn from her, she had already given up canning and given all her tools of the trade away. My mother never took up canning and it seemed like such a complex mystery to me. But this summer a friend of mine invited me to make pickles with her and the mystery was unveiled. 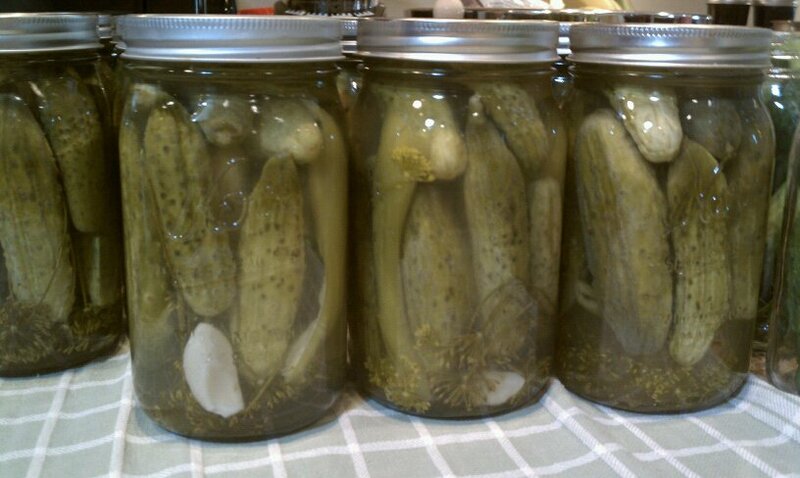 In an afternoon, four of us pickled 54 lbs of cucumbers and 7 lbs of green beans & I caught the canning bug. I went straight home and bought a pressure cooker. 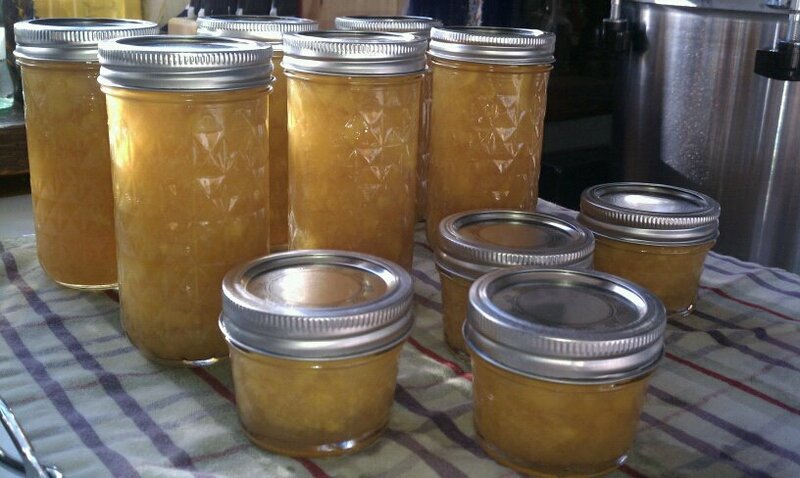 So far I have made a batch of ginger peach jam and canned 18 lbs of brandied peaches. I have a flat of blueberries in the fridge ready to make into a blueberry basil jam tomorrow. I found this great book, Put'em Up, in it Brooks has some innovative and tasty recipes. I made her fennel onion jam a couple weeks ago and it was amazing. While canning yesterday, I realized that one of my grandmother's slotted spoons must surely have been used when she canned peaches. Although it is a multi-purpose spoon (it is stamped "Lifts, Whips, Mixes, Mashes, Crushes, Strains), it couldn't have been more ideal to fish peaches out of the boiling bath when I blanched them. So now the spoon is even more dear to me than before. I just wish she had left me some recipes, but knowing her, they were all in her head. I brought a jar of jam and one of peach halves to my mother. I thought it would be a nice reminder of all the peaches of my grandma's she used to eat. My mother was very thankful and told me she knew what hard work canning was. She said that while grandma did most of her canning while my mother was at school, she could remember coming home to the jars cooling on a rack on the counter. She said grandma didn't have a pressure cooker so she canned in the oven! I said surely she was mistaken, grandma must have had some sort of large pot she used. But my mother is certain that she put them on a cookie sheet and canned in the oven. I have never heard of it being done like that before. Boy, do I wish I could ask her.